A group of researchers from Bristol University have discovered that the optical properties of a fish's skin seem be more reflective than was previously thought possible for a non- metallic object. Normally when light is reflected, from snow, or the sea for example, it becomes polarised. This means that the light is reflected only in the direction parallel to the reflective surface, producing the familiar 'glare'. This glare can be reduced by wearing polarized sunglasses. 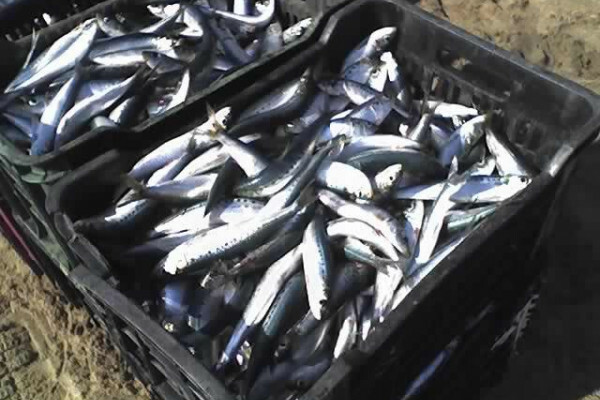 Fish such as sardines and herring have skin made up of several layers. Underneath the scales is a layer which contains arrangements of reflective 'guanine' crystals. It was thought that, like other reflective objects, these fish would polarise light, producing a drop in reflectivity. The team found, however, that two different types of guanine crystal are present in the fish's skin. Each of these reflects light in a direction at 90 degrees to the other. This, combined with the fact that the fish has multiple layers of these crystals, means that whatever direction the light comes in at, it is always reflected, so there is no polarisation. The fish in this study, published in Nature Photonics are all prey animals, so it is thought that reflecting the surrounding light levels gives them some camouflage in the water. The depth of water they live in has a very symmetrical distribution of light, so ensuring they are reflective from all angles gives them a lower chance of being spotted by predators such as tuna or dolphins. Multi-layer reflective materials are common in things like optical fibres and LED back reflectors, and producing a reflector that does not polarise light can be fundamentally important. These finding may help us produce better reflectors, from a wider range of materials.